A free fun day at Sedgefield next month will reveal which youth projects have been successful in getting a slice of £40,000 funding. 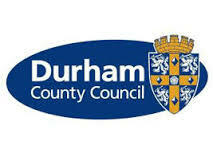 It has been organised by the East Durham Rural Corridor Area Action Partnership with Board members allocating the money for activities for children and young people. The projects considered range from youth clubs and football teams to parent and toddler groups. Details of the applicant schemes have been viewed at 17 local schools with pupils getting the chance to vote to for the ones they want to get the money. The results will be announced at a forum at Sedgefield Community College on Saturday 6 December (12noon – 2pm). It will also be a chance for people to vote on what priorities they would like to see for the area next year. Free activities include 5-a-side football, arts and crafts, face painting, testing your shooting skills with a special netted cage from the Sunderland AFC Foundation and even a visit from Santa. People wanting to go are asked to contact the East Durham Rural Corridor AAP on 03000 261 128 or 03000 261 129 or email eastdurhamruralaap@durham.gov.uk. Free transport can be arranged if required. The East Durham Rural Corridor AAP is one of 14 Area Action Partnerships set up by Durham County Council in 2009 to help the authority better engage with residents.